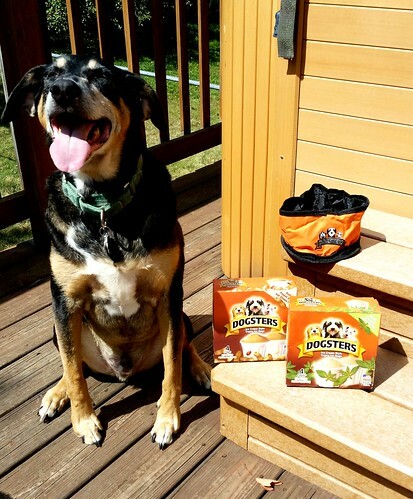 Thank you to everyone who entered to win Dogsters Ice Cream and a branded travel bowl! Congratulations to Birdie Bee! Please get in touch with your snail mail address asap! Everyone else, click through and enter to win the great Fresh Wave 100% natural odor-eliminating products we're currently giving away... and stay tuned for more great reviews and giveaways! *Please note, as stated, the first method of entry was required - answering a question in the comments on the blog post. The Rafflecopter widget originally picked a different winner, however they were disqualified because they did not leave the blog post comment. Make sure you comment going forward, as answering a questions is always the first (and only required) form of entry. Well done! Hope your canine friend enjoys their frozen treat!